This early Victorian 9 " cabinet plate is transfer printed in brown and hand painted under the glaze. 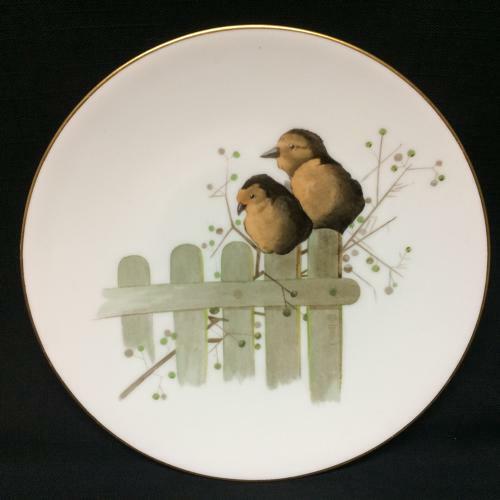 Designed attributed to Pierre Mallet, this delightful plate combines the new Aesthetic and Japanese influences of the 19th Century, with a freer more naturalistic design and the use of asymmetry, along with the English love of nature. Bird hidden in the Begonia foliage.